Join Kaeti and the Califia Collective team in an opportunity to support our local Herbal Community and their amazing talents! This event will be very exciting! 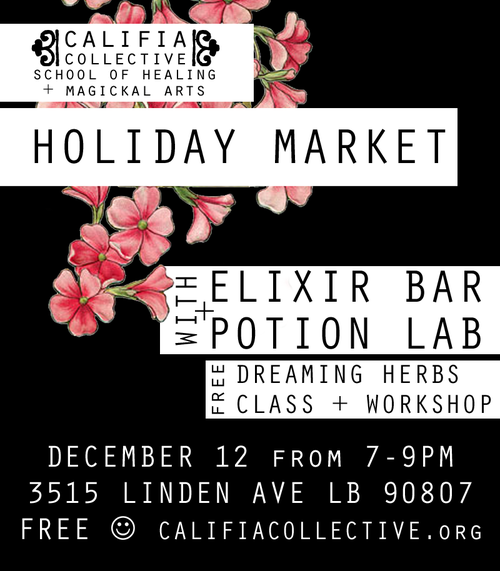 Local vendors selling and bartering their herbal and magickal wares, an elixir bar where you can make yoru own tea + potions and a free class on dreams where you'll make your own Herbal Dream Pillows. See you there!